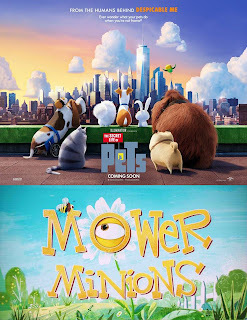 Home / ANIMATED FILMS / Short Film "Mower Minions" Plays In Front of "The Secret Life of Pets"
Short Film "Mower Minions" Plays In Front of "The Secret Life of Pets"
Illumination Entertainment’s inaugural theatrical short, “Mower Minions”—a never-before-seen short film starring the Minions—will debut in front of “The Secret Life of Pets” when it arrives in Philippine theaters on August 24. Correlating to the format in which “The Secret Life of Pets” is showing in specific theaters, “Mower Minions” will be available in both 3D and 2D. The short film stars the iconic Minions, who first appeared in the blockbuster “Despicable Me” franchise and who most recently starred in 2015’s massive hit “Minions,” which grossed more than $1.15 billion at the global box office and became the second-biggest animated title of all time. Continuing the unpredictable journeys of Gru’s curious and subversively sweet band of yellow brothers, “Mower Minions” represents the first time ever that Illumination has released a short film theatrically. Directed by Bruno Chauffard & Glenn McCoy, “Mower Minions” is produced by Chris Meledandri and Janet Healy and written by Glenn McCoy and Dave Rosenbaum. 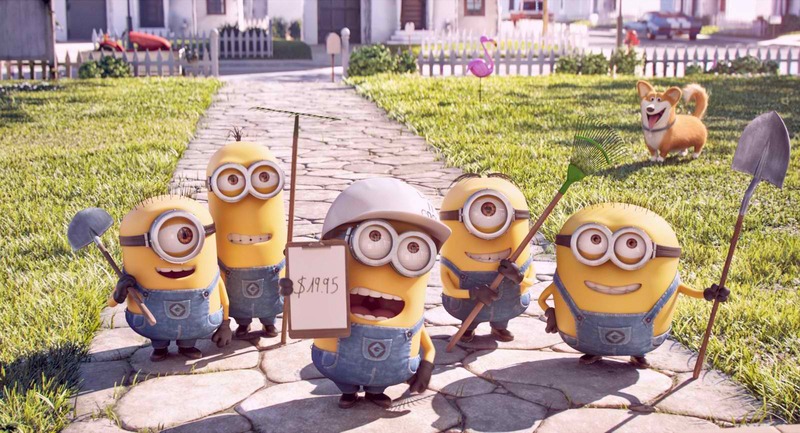 The executive producer is Chris Renaud, and the cast is Pierre Coffin as the voice of the Minions, while Jody Gelb plays Barb and Ella and Dave Rosenbaum portrays Dave. Additional voices are provided by Eric Osmond and Chris Renaud, while the associate producers are Robert Taylor and Brett Hoffman. The music is by Michael Gatt, and it is edited by Gilad Carmel and Eric Osmond. Ever wonder what your pets do when you’re not around? Illumination Entertainment and Universal Pictures present “The Secret Life of Pets,” a comedy about the lives our pets lead after we leave for work or school each day.